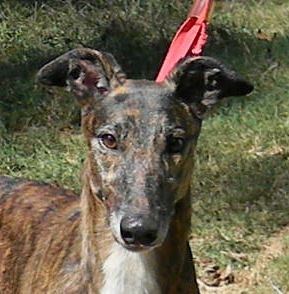 Clear is a striking-looking boy with his attractive brindle markings, dark face, and big white chest. 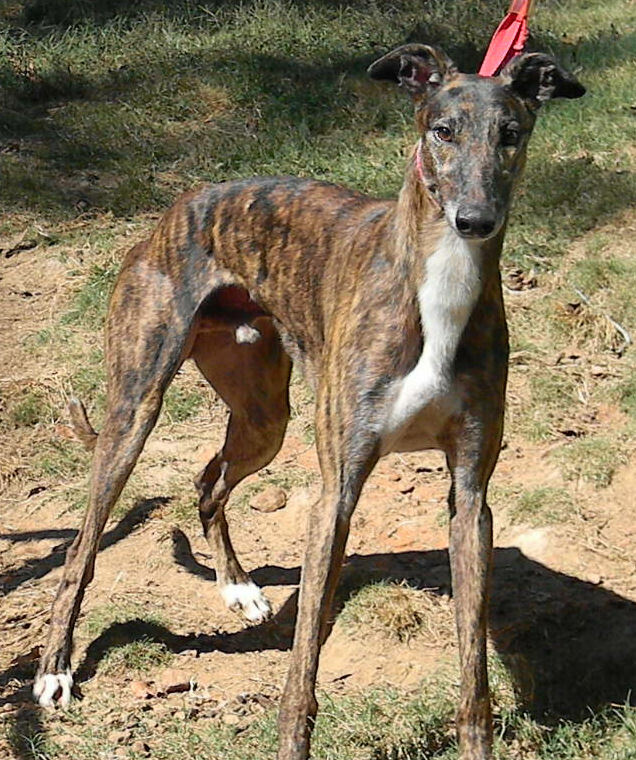 His dad was captain of the 2012 All American Greyhound team. Clear made 93 turns around the track before he was retired. 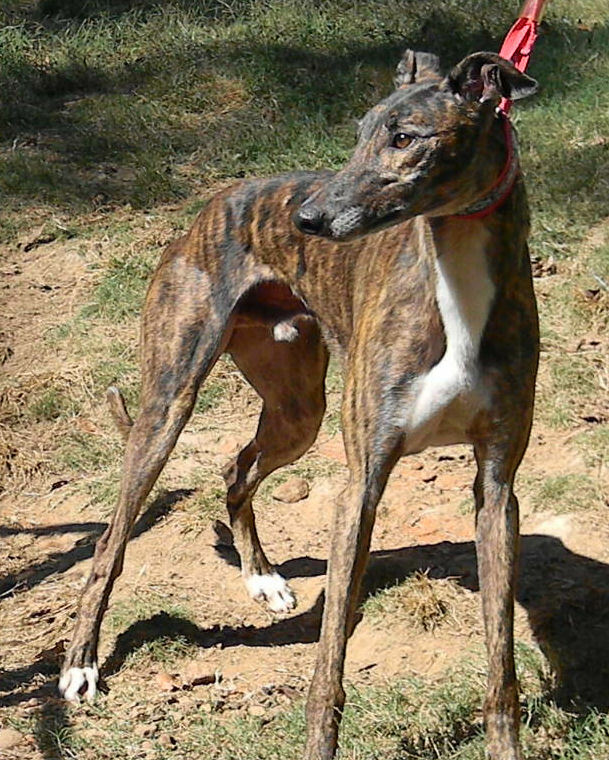 He is a very active fellow who is curious about everything and loves to play with squeaky toys.